It's not Halloween, and it's not Thanksgiving, it's Neon. 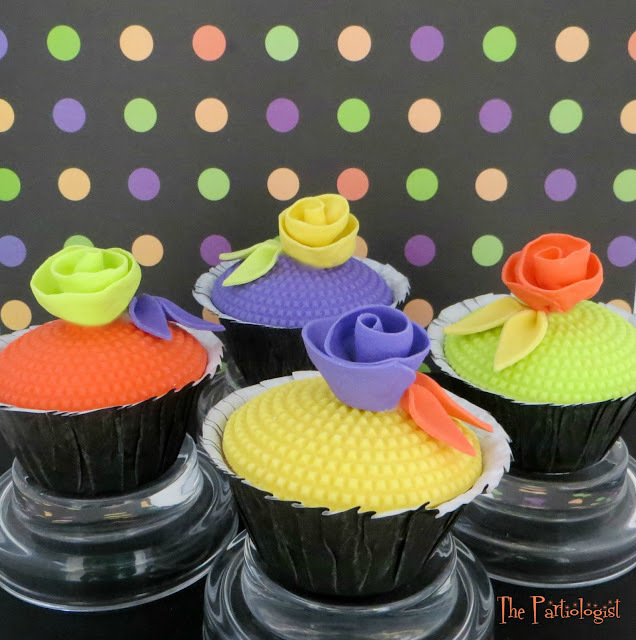 Who doesn't love a neon cupcake and who doesn't love a neon cupcake that's easy to make? Fondant topped cupcakes. So how do you like the pattern in the fondant? A very expensive impression mat. Okay, it's not really an impression mat and it's NOT expensive at all. It's a plastic needlepoint canvas and I turned it into an impression mat! Place canvas on top of fondant and press design into fondant. Cut fondant with a 3" circle cutter. Place all the toppers on the back side of a small half circle cake pan to shape. 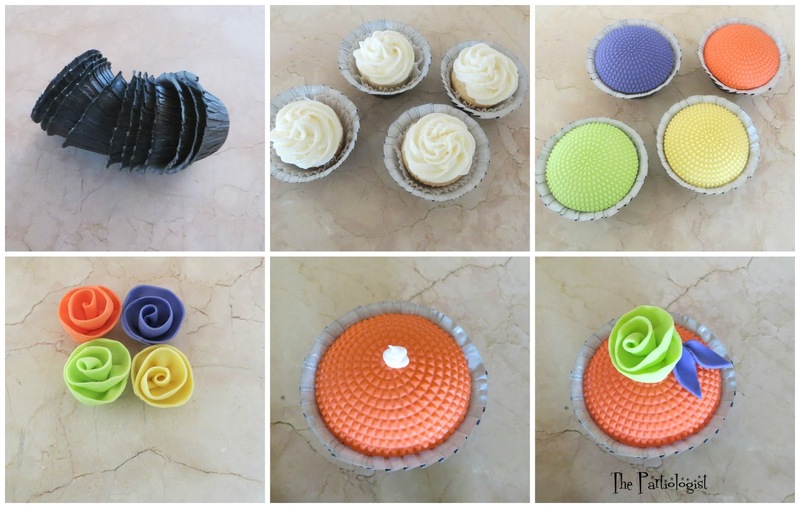 (I like to form my cupcake toppers ahead of time so I can place them on the frosting before serving and they can take it off before eating the cupcake). 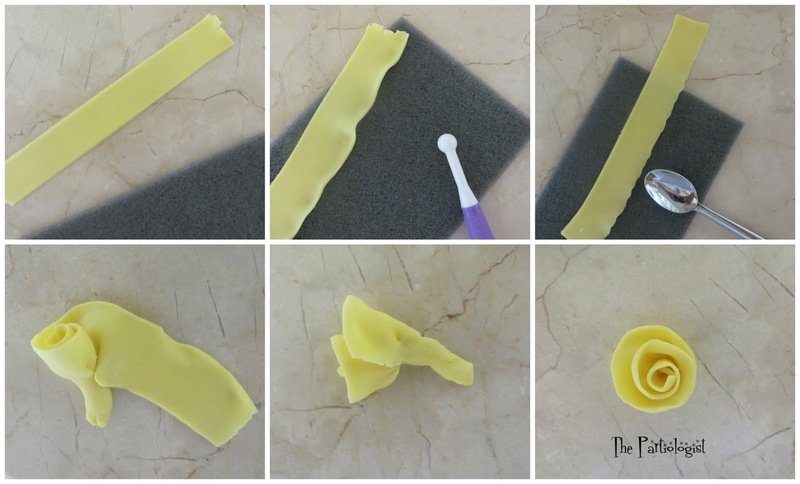 Make the fondant rose by cutting a 1" wide strip of fondant. Use a ball tool or even a tiny spoon to frill the edge. Roll up and cut the bottom off, set upright and let dry. The best part is getting to put them all together. 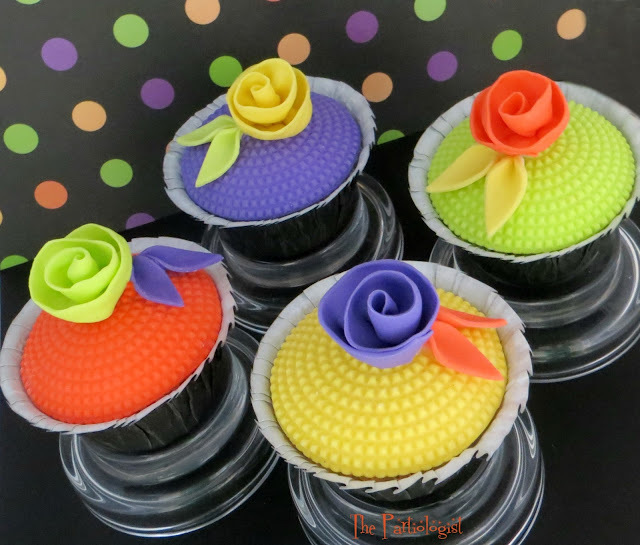 I used black Wilton ruffled cupcake papers. Set your cupcakes in the papers. Add a dot of royal icing and add the rose and leaves. (I made the leaves by cutting a tear drop shape and pinching the round end together. Now who's the brightest cupcake in the box? Thanks Pam - I LOVE using it for my cookies too! I also have a plastic canvas sheet and I love it too! Thanks for stopping by! That looks like something even I can do :) Cute idea, Kim! Very clever....but my favorite part of a cupcake is the frosting????? Mine too, that's why I made it so you can just lift it off the top of the cupcake and eat the cupcake - frosting and all! How pretty. Using the needlepoint canvas gives the fondant a really amazing pattern. Genius idea. I also really like how you formed the fondant in the round pan first. Thanks Beth - the best part was the PRICE! I like to form the fondant, because many people don't like the taste and they can lift it off to eat just the cupcake if they want! Neon makes me smile too! Thanks Jennifer! Needlepoint canvas ... GENIUS! I never would have thought of it ... thank you for sharing! I'm now going to share with some cake decorating friends :) Love the colors too! Thank you Brenda - and thank you for sharing with your cake friends! Great idea usingthe needlepoint canvas! Thanks for sharing! The neon cupcakes are so pretty and fun! Yes, you definitely are the brightest cupcake in the box. 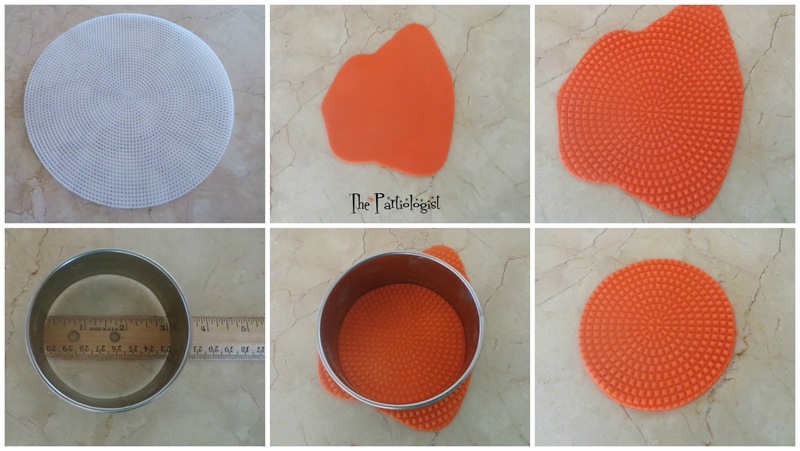 Love your very bright idea to use the needlepoint canvas to impression your fondant. Great looking cupcakes. Great colors and the roses look so simple to make! Cool! Roses were pretty easy - thanks Michelle! You make it look so easy! I gotta try this! Aww thanks Janine! Give it a try! Genius idea with the mat! Love the colors, too! Your creations belong in a magazine! Seriously Kim, you can do anything and make it gorgeous!! I love all the colors!! I agree the mat idea was smart! Thanks for linking up to Party Time on Moms & Munchkins and we hope to see you next week. Welcome to my blog Karen, I'm so happy you're here! Thank you for your kind comments! These are awesome. I love the pattern the impression mat makes, what a great idea!! It's been so much fun to use - can't wait for Christmas! Thanks! These are awesome! Would be totally cool in an 80's party theme!